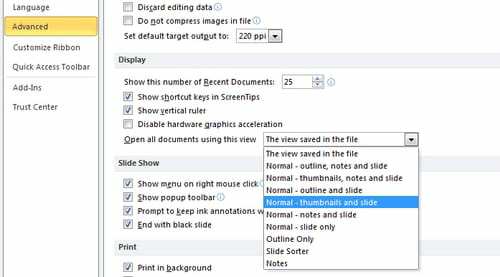 By default, PowerPoint opens in Normal View mode (thumbnails, comments and slide). However, if you want to, you can configure PowerPoint to open in a different mode, such as Slide Sorter or using variants Normal mode. 2.Click on Options on the left side of the screen, and then on Advanced Options. Published by deri58. Latest update on May 15, 2013 at 05:17 PM by jak58. 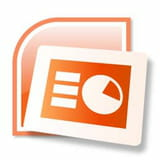 This document, titled "PowerPoint - Set your default view mode," is available under the Creative Commons license. Any copy, reuse, or modification of the content should be sufficiently credited to CCM (https://ccm.net/).